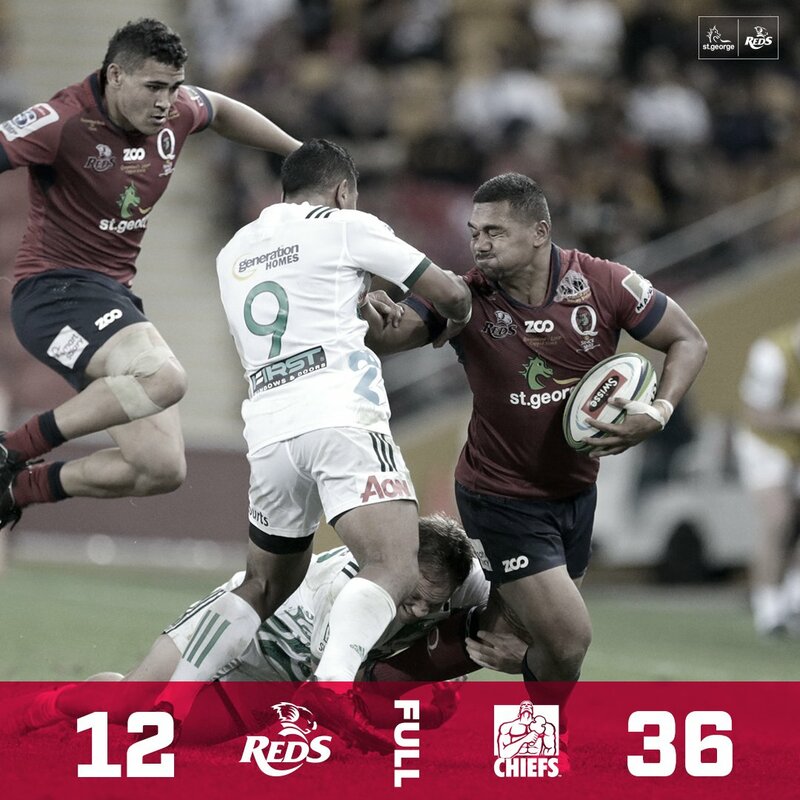 FULL TIME; REDS 12, CHIEFS 36 - It's all over at Suncorp Stadium and it's the Chiefs who emerge victorious with one of their most complete victories this season. Always looking to pack a little too much power for the Reds up front, the Chiefs set this one up with a brilliant attacking display masterminded by Cane, Boshier and McKenzie. The Chiefs cantering away to an impressive 24 point win in Brisbane as they take this one 36-12. 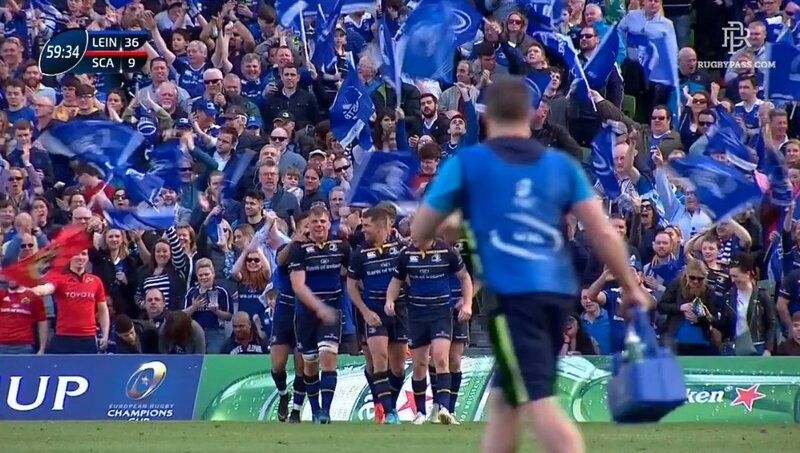 Fitting way to end the game as the Chiefs once again flex their provervial and literal muscle with a monster rolling maul. With Messam providing the relevant power, it's Taukei'aho who latches onto the pointy end and falls over the line from nine metres out. TRY CHIEFS! (Samisoni Taukei'aho). REDS 12, CHIEFS 36. 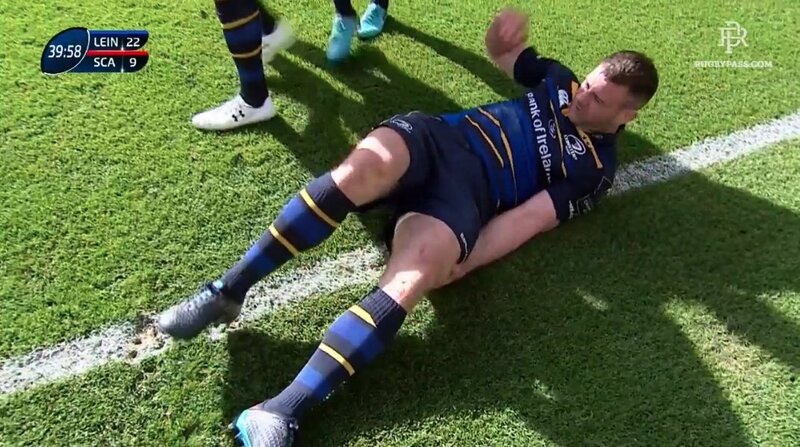 Not to be on this occasion from Lance as he lines up 15 metres inside the right sideline. With nice enough contact, the ball is sent towards the posts but fades across the face. The Reds need 19 points in 10 minutes of play if they want to lock this one up. CONVERSION MISSED REDS! (Jono Lance). REDS 12, CHIEFS 31. Kerevi's over for his second to give the Reds the faintest of sniffs as play is sent towards the right of the park. With the Chiefs defence jamming in, Lance links with Kerevi who turns his hips wisely to break the line before he motors through and over from 22 metres out. Sheer skill from the big man. 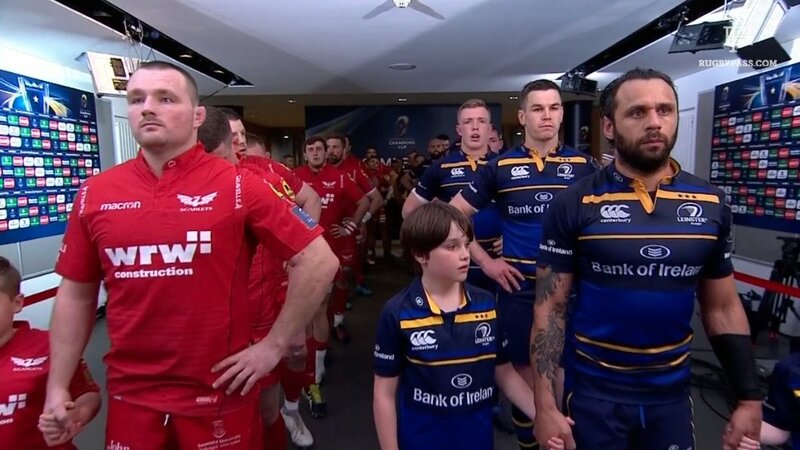 TRY REDS! (Samu Kerevi). REDS 12, CHIEFS 31. The pressure conversion for the Reds is taken with ice-cool temperament by Lance as he lines up five metres inside the left sideline. Looking good off the boot, the ball never deviates off its original line and sizzle its way over the crossbar. Reds back in it; they trial by 24. CONVERSION REDS! (Jono Lance). REDS 7, CHIEFS 31. The Reds FINALLY get themselves on the board as a short side play is quickly set up with the hosts attacking nine metres out. Getting across the advantage line early, Kerevi creates a quick two-on-one, throws a dummy and shimmies over from five metres out. Much better. TRY REDS! (Samu Kerevi). REDS 5, CHIEFS 31. Over go two more points to the tally as McKenzie has this one on the tee from five metres inside the left sideline. Hit with confidence, the ball is sent into orbit and spins perfectly over the black dot from 23 metres out. Chiefs are cantering to a massive win here in Brisbane. CONVERSION CHIEFS! (Damian McKenzie). REDS 0, CHIEFS 31. The worst start to the second half imaginable for the Reds as the Chiefs bear down on their tryline with intent. With a lovely spread to the left from 25 metres out, the ball is sent to Alaimalo who draws two defenders before sending Polwart over in the corner. This could get ugly quickly for the hosts. TRY CHIEFS! (Liam Polwart). REDS 0, CHIEFS 29. Underway in the second half..
HALF TIME; REDS 0, CHIEFS 24 - We're done for the first half at Suncorp Stadium and to be honest, there's only been one side in this. 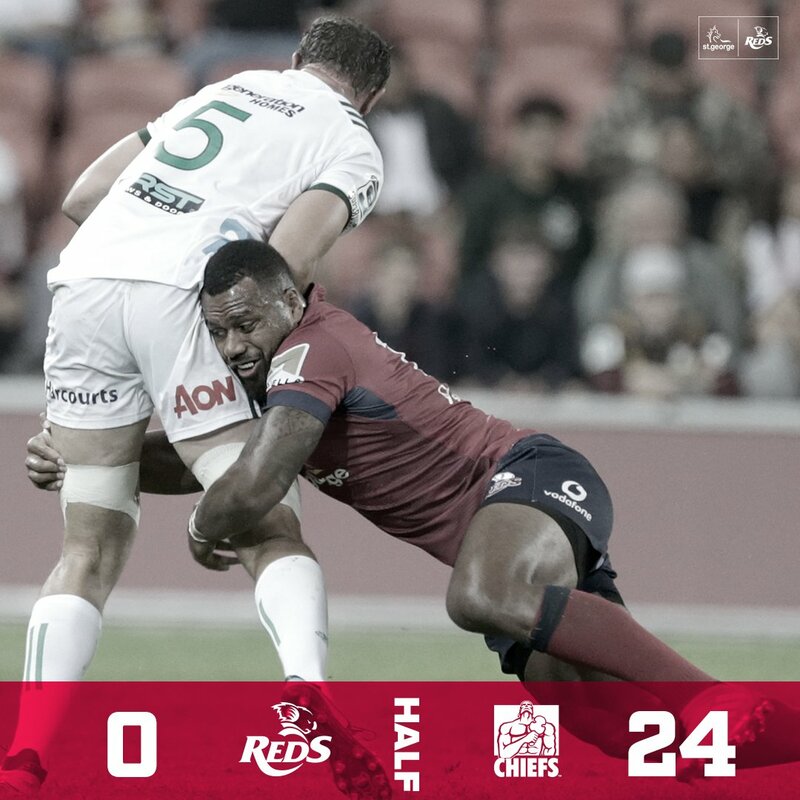 With a rapid fire start, it's been the Chiefs who looked smarter, sharper and slicker in attack and the Reds are in danger. Held scoreless for the first half, the Reds desperately need an injection of inspiration as they trail 24 blot at the interval. McKenzie's on his way to picking up a pretty impressive solo tally as he lines this one up from 10 metres inside the right sideline. With the right amount of swerve and curve, the ball's sent over the black dot and the Chiefs up 24 blot with six to run in the first. CONVERSION CHIEFS! (Damian McKenzie). REDS 0, CHIEFS 24. This is just immense attacking play from the Chiefs who again go about setting up a clinical rolling maul. With no less than three pick-and-goes, it's Retallick who executes the final one as he surges over the line from four metres out. Reds look shot with 10 minutes to play. TRY CHIEFS! (Brodie Retallick). REDS 0, CHIEFS 22. McKenzie's yet to have a shot which has troubled him as he lines up almost directly in front once again. Hit smartly off the tee, the ball is straight over the crossbar and extends the Chiefs lead to 17 points. The Reds already need the next points in this one to stay alive. CONVERSION CHIEFS! (Damian McKenzie). REDS 0, CHIEFS 17. The Reds are in massive trouble already as the Chiefs win a scrum against the feed. 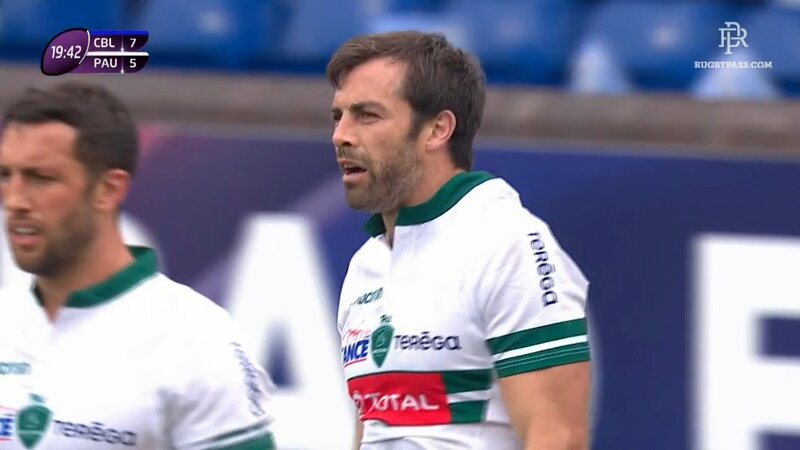 With their thrust seeing the ball firing out, it's quickly moved to the right through McKenzie who feigns to go long before putting a short ball on Ngatai's chest from nine metres out. Too easy for the visitors. TRY CHIEFS! (Charlie Ngatai). REDS 0, CHIEFS 15. McKenzie basically throws this one over from 10 metres out as he steers the ball through the middle. Inside the opening 20 minutes, it's been all the Chiefs who look in the mood to score points. Reds yet to see attacking field position though.. CONVERSION CHIEFS! (Damian McKenzie). REDS 0, CHIEFS 10. Clinical short range play from the Chiefs as they push and shove their way to within 10 metres of the tryline. With a concise pick-and-go at the ready, Ardron picks the ball up and stretches his frame over the chalk from three metres out. Chiefs looking deadly in attack early. TRY CHIEFS! (Tyler Ardron). REDS 0, CHIEFS 8. Not the ideal start for the Reds as Lucas is sprung for being offside inside the opening five minutes. Within striking range, McKenzie lines this shot up and drills it over the black dot from 30m out. First blood to the Chiefs. PENALTY GOAL CHIEFS! (Damian McKenzie). REDS 0, CHIEFS 3. Welcome to Suncorp Stadium as Round 10 of the Super Rugby now sees the Reds hosting the Chiefs. With both of these sides sitting fourth in their respective conferences, a win tonight is almost critical if either wish to play Finals this year. With the Reds one point behind the Brumbies and the Chiefs three off the Highlanders, this should hopefully be all out attack in the middle. Kick off is in five minutes..
What a team, what a performance, 20 minutes to go and already in the final. @wanderingTrav The issue does not appear to be still there, is it working on your end now? @wanderingTrav What are you missing? 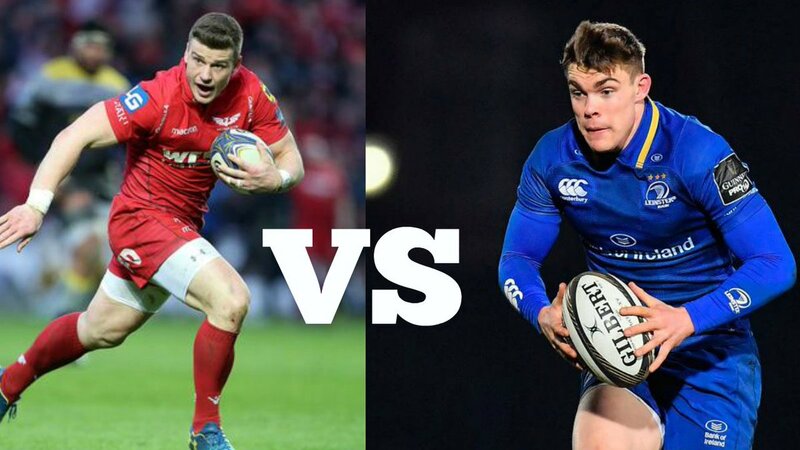 @cardiff_blues are 15 minutes away from the final. Can they hold on until the final whistle?! @theblitzdefence Not a fan of this Cardiff Pau commentary?